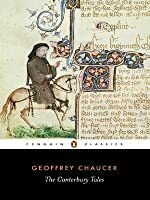 We don't have a description for The Canterbury Tales, but if you head over to Amazon they'll be able to tell you what this book is about! 10th grade English and I loved every minute!!!!! I really didn't think I was going to like this book so I put off reading it for ages. Some of the tales were boring and I found myself drifting off, but some were surprisingly funny and/or just good little stories! Only interesting or worthwhile for its historical value. Skip it as literature.